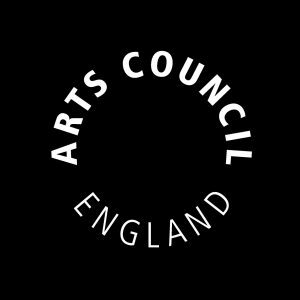 If you are involved with Art Council England’s Accreditation Scheme keep up to date with the latest FAQs following the Accreditation Review. Thank you for your participation in the Accreditation Scheme. As you know, the Scheme is currently under review. We are really grateful for the huge numbers of responses we received throughout the course of the review and through our survey in December 2017. Thank you for your patience while we work through the findings and implement them. What came through very strongly is that the Scheme and award are highly valued but that improvements are needed. We have heard that the majority of participants would prefer a longer returns cycle and that there are elements of the Standard, the form and the guidance that need to be streamlined. We are also working to make our behind-the-scenes processes more efficient. New deadlines for Accreditation returns due in 2017 and 2018 and how does this affect you? We’ve already been in touch with museums who were expecting to make a return last year to let them know that the date Accreditation returns are due have been pushed back. If you are expecting to make a return this year your original deadline has also been extended. I’m afraid I’m not sure exactly when you will be invited to return as the new schedule is not complete yet. I’m sorry that I can’t be more specific and I appreciate that it must be frustrating not to know exactly what the timescales are at this stage. We’re working up the new schedule at the moment and are prioritising this so we can publish ahead of the relaunch this autumn. We had hoped to give you a clear submission date at this stage, but we do not want to invite you to submit against a Standard which is currently in flux. We are sorry that this may impact on your planning. We will be pushing back the date that your Accreditation return is due. Your museum’s current Accreditation award remains valid in the meantime so this will not impact on your award status. The first set of invitations to submit against the revised 2018 Standard will be sent out in autumn 2018 with a six month deadline as before. Spring 2019 is the earliest museums would be asked to make a return. It’s possible that museums might not be grouped in ‘tranches’ in the same way as they were before. We’re aiming to space the groupings out more so your award lasts for a longer period before your next return is due. Any work you may have already done in preparing for your return will still be valid and the museum’s Accreditation status will not change during this time. The core elements of the Standard will stay the same. We hold the provisional award. What does this mean for us? If you hold the provisional award your timescales can be found in your award outcome letter. This explains whether you have any outstanding actions to address with agreed timescales. Your assessor will usually be in touch with a reminder about a month before your deadline for your provisional review. We are working towards Accreditation and looking to apply for the first time. What should we do? Please continue to develop your application based on the current Standard and guidance. We will continue to accept new applications developed against the 2011 Standard throughout 2018.